This section of the Hadoop tutorial includes learning how to work with a Hadoop multi-node cluster, how to create a new user account, mapping the nodes, configuring key based login and more. 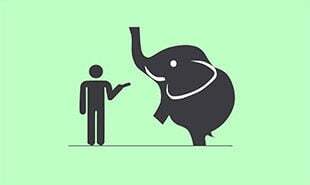 System user account on both master and slave systems should be created to use the Hadoop installation. hosts file should be edited in /etc/ folder on all nodes and IP address of each system followed by their host names must be specified. Ssh should be setup in each node such that they can converse with one another without any prompt for password. 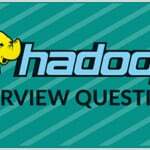 Hadoop should be downloaded in the master server. hdfs-site.xml file should be editted. mapred-site.xml file should be editted. JAVA_HOME, HADOOP_CONF_DIR, and HADOOP_OPTS should be edited. 11/10/14 10:58:08 INFO common.Storage: Storage directory /opt/hadoop/hadoop/dfs/name has been successfully formatted. 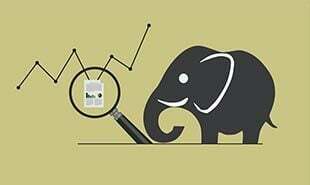 Starting Hadoop services on the Hadoop-Master. Add new nodes to an existing Hadoop cluster with some suitable network configuration. suppose the following network configuration. 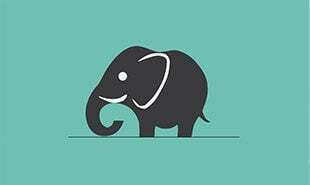 “hadoop” user must be added and password of Hadoop user can be set to anything one wants. Content of public key must be copied into file “$HOME/.ssh/authorized_keys” and then the permission for the same must be changed. ssh login must be changed from the master machine. Possibility of ssh to the new node without a password from the master must be verified. Machine must be restarted or hostname command should be run to a new machine with the respective hostname to make changes effective. ping the machine with hostnames to check whether it is resolving to IP. Datanode daemon should be started manually using $HADOOP_HOME/bin/hadoop-daemon.sh script. Master(NameNode) should join the cluster after being automatically contacted. New node should be added to the conf/slaves file in the master server. New node will be recognized by script-based commands. jps command output must be checked on a new node. Node can be removed from a cluster as it is running, without any data loss. A decommissioning feature is made available by HDFS which ensures that removing a node is performed securely. Before starting the cluster an exclude file must be configured. A key named dfs.hosts.exclude should be added to our$HADOOP_HOME/etc/hadoop/hdfs-site.xmlfile. NameNode’s local file system which contains a list of machines which are not permitted to connect to HDFS receives full path by this key and the value associated with it. Hosts to decommission are determined. Additions should be made to file recognized by the hdfs_exclude.txt for every machine to be decommissioned which will prevent them from connecting to the NameNode. NameNode will be forced to re-read its configuration, this is inclusive of the newly updated ‘excludes’ file. Nodes will be decommissioned over a period of time, allowing time for each node’s blocks to be replicated onto machines which are scheduled to remain active. jps command output should be checked on slave2.in. DataNode process will shutdown automatically. The decommissioned hardware can be carefully shut down for maintenance after the decommission process has been finished. Excludes are edited again and once the machines have been decommissioned, they can be removed from the ‘excludes’ file. “$HADOOP_HOME/bin/hadoop dfsadmin -refreshNodes” will read the excludes file back into the NameNode;DataNodes will rejoin the cluster after the maintenance has been completed, or if additional capacity is needed in the cluster again. "0 Responses on Multi-Node Cluster"
Sign Up or Login to view the Free Multi-Node Cluster.